Retirees (or survivors) who choose to receive Social Security benefits before they reach full retirement age (FRA) and continue to work have an earnings limit. In 2017, the annual earnings limit was $16,920 for those under FRA the entire calendar year. In 2018, it is $17,040. If you earn over the limit, we deduct $1 from your Social Security monthly benefit payment for every $2 you earn above the annual limit. In the calendar year you reach FRA, which you can check out on our website, you have a higher earnings limit. Additionally, we will only count earnings for the months prior to FRA. In 2017, the limit was $44,880. In 2018, it is $45,360. In the year of FRA attainment, Social Security deducts $1 in benefits for every $3 you earn above the limit. There is a special rule that usually only applies in your first year of receiving retirement benefits. If you earn more than the annual earnings limit, you may still receive a full Social Security payment for each month you earn less than a monthly limit. In 2018, the monthly limit is $1,420 for those who are below FRA the entire calendar year. The 2018 monthly limit increases to $3,780 in the year of FRA attainment. Once you reach FRA, you no longer have an earnings limit, and we may recalculate your benefit to credit you for any months we withheld your benefits due to excess earnings. This is because your monthly benefit amount is calculated based on a reduction for each month you receive it before your FRA. So, if you originally filed for benefits 12 months before your FRA, but earned over the limit and had two months of Social Security benefits withheld, we will adjust your ongoing monthly benefit amount to reflect that you received 10 months of benefits before your FRA, and not 12. Most people understand that if they work while receiving benefits before FRA, their benefit may be reduced. What most people do not consider in their retirement planning is that we recalculate your Social Security monthly benefit at FRA to credit you for Social Security benefit payments withheld due to earnings over the limit. Explaining the earnings limit is another way that Social Security helps secure your today and tomorrow. 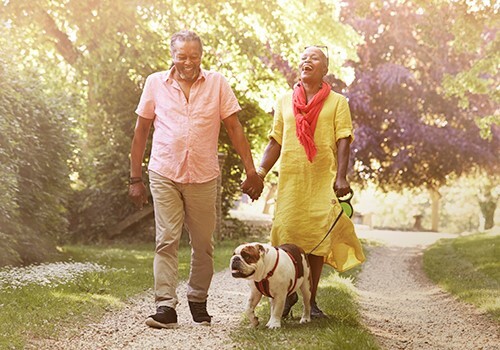 Understanding both the earnings limit and the possible recalculation of your ongoing Social Security benefits will provide an additional perspective on retirement for you to consider. What Is the Biggest Retirement Planning Mistake? This entry was posted in Retirement and tagged FRA, full retirement age, retire, retirees, retirement, retirement benefits, survivors benefits by Jim Borland, Acting Deputy Commissioner for Communications. Bookmark the permalink. I have been in SS for some time now and have been told I might not have had my SS Retirement figured properly, how can this be checked out? Ignore the comment if you were told this by a s**t house lawyer who is clueless. Otherwise you can request a recalculation of your benefits by contacting (obviously) Social Security. Hello David. You can ask for a review of your benefit records. You may contact your local Social Security office directly or you can write to us or send us an email message. Thanks. SS will supply you with an interpreter if you need one. Make them aware of that before your appointment. You can not request assistance on this public blog. Hello Sonia. We provide free interpreter services to help you conduct your Social Security business. These interpreter services are available whether you talk to us by phone or in the Social Security office. Please call our toll free number at 1-800-772-1213 and one of our agents will assist you. Representatives are available Monday through Friday, between 7 a.m. and 7 p.m. Working for the Good Lord in retirement gives peace of mind that God is gonna take care of you in Retirement. Making more money siimply means you wanna spend more money rather than living below your means. The Bible teaches us that “The Lord is my shepherd & I shall not want, yes? Why does there need to be a limit on income when drawing my SS benefits prior to reaching the FRA? It is my money that I paid in over the last 40 some years. You are already reducing my benefits because of starting early so why put a second limit on it??? SS retirement was always meant to replace lost retirement income. If you are not retired why do you expect payment? You pay into insurance too, would you expect payment if you suffered no loss? It is actually not your money as you have no private account. That seems to be the basis of your misunderstanding. You are getting a social insurance payment against the loss of your working income. It is the same as term insurance. There is no private dividend, just a big pot of contributions pooled together for when you (and anyone else) are disabled, retired or die and have eligible survivors. Your benefits don’t stop either when your contributions run out like under an individual account. Congress determines the age of eligibility for benefits and when deductions apply for work. If you are under your FRA (full retirement age), deductions could apply. The FRA is the point where you can earn what you want with no deductions. That point of unlimited earnings with no deductions used to be age 72, then 70 and then 65. It has been tied to the FRA for decades now. In short, if you earn over the allowable amount of earnings, you cannot be insured in full unless you are past your FRA. Just like you cannot claim under your auto policy unless your car is damaged or under your health plan unless you receive treatment. That is why your application said “Retirement Insurance Benefits”. I think I qualify for the low income benefits for SSI, when I filled out the eligibility form it stated I was qualified for it. I know people that are getting both. I am tired of being lied to and I will have to get an attorney and fight for my money. Fine, get an attorney and blow your limited income. If your SS or other income is lower than the SSI threshold then you could get both but the SSI is reduced dollar for dollar by other unearned income after the first $20.00. Put the paranoia pills away, no one is lying to you. Hello Jacqueline. Yes, there are times when people can receive both, their regular (disability or retirement) Social Security benefits and SSI benefits. It depends on their situation and whether they meet specific requirements. The Supplemental Security Income (SSI) program is a needs-based program that pays benefits to disabled adults and children who have limited income and resources. SSI benefits are also payable to people 65 and older without disabilities who meet the financial limits. If you have low income and limited resources, you may be eligible to receive both benefits. Please call us at 1-800-772-1213 (TTY 1-800-325-0778) and speak tone of our agents. Representatives are available Monday through Friday, between 7 a.m. to 7 p.m. Or contact your local Social Security office directly. Very good information for those of us over 65 and still working. Thank you! We’re pleased we can help. We will continue our efforts to meet your requirements and expectations in the years to come. This was very informative. Thank you. I am disabled getting ssdi and last time and time before at the s.s. office I was told when I turn retirement age I will get both disability and I also worked enough to get ss benefits and continue my ssdi benefits. It has been told iot is true and is a blessing since getting by on minimum is hard. It’s so hsrd to believe I will have some years left God willing to live a little better. Still hard to believe but have been told yes by 2 agents and downstate office. In 2018 I have been waiting on all my payment just started recivinung my disability in May on the 28 so how can u even count 2018 n base my pay off of that when I’m sick n dying I new life it should be counted for working my whole life…so I dont get how u r basing my earning in 2018 when knowly I can’t work ..? When I app.she said I earned enough to apply for everything n retirements of being the I put enough inn and the judge approved all in my favor 3 years of stress n I only get 703.00 a month i know I put enough inn the actual refunds owed to me…can we get me a copy of the actual application for everything n retirements of the actual application I applied for this is the only thing that has been struggling to me by ssi and also using the unclaimed money for a few minutes to get to my payments and the payment I should be reviving n I am not. Why if I made enough when I worked I am intitled to the actual refunds owed to me smh. Hello Sarthaj, please visit our web page “Types Of Social Security Cards“. For more information on how to get a card go to “Social Security Number and Card“. Thanks! I’m 62 now and working, I will not make $17,040 the remainder of the year. Can I get benefits and not be penalize for my earnings. Great question, Harold. If your earnings will be over the limit for the year but you will be retired for part of the year, we have a special rule that applies to earnings for that one year. If you’re under full retirement age, you are considered retired in any month that your earnings are $1,420 or less and you did not perform substantial services in self employment. Please visit our Retirement Planner: Getting Benefits While Working and read our publication How Works Affect Your Benefits for more information. Thank you. Have been looking for work while disabled for five years! All to no avail. I’ll remember this while hoping to find a long term job. Ticket to Work service providers can help you connect to opportunities available to you in government hiring, opportunities with Federal Government contractors, and employers in the private sector. Any document you submit, must be an original or certified copy, current (not expired) and show your name, and other identifying information (date of birth or age). Also, realize that you may not need a replacement card. You will rarely need to show it. Knowing your Social Security number is what is important. To see if you’re eligible to apply for a replacement Social Security card online or to learn more on the process and what documents you will need to get a card, please visit our “Social Security Number and Card” web page. Could you explain how this earnings rule applies to a beneficiary who is recieving benefits thru disability and has not reached FRA yet? Great question, Terri. The rules are different for individuals receiving benefits under the Social Security Disability Insurance program and working. Social Security strongly supports those individuals who want to return to the work force while supplementing their disability benefit income. We have Work Incentives that allow people to work and still receive their benefits. However, their earnings cannot exceed a certain amount. This is called the Substantial Gainful Activity (SGA) limit. In 2018, the SGA limit is $1,180 per month (or $1,970 for blind applicants). In addition to the amount of money you make, Social Security may also look at the number of hours you’re able to work. set up account some time ago on MY SOCIAL SECURITY .NET and wrote down username and password. Visited it once or twice and got on o k. Now I can’t get back on! How do delete that account and set up another one HELP !! I am at FRA, will I continue to get SS yearly increace if I am working full time and I get a raise in salary? I’m on Ssi and want to go back to school for my GED and im looking for a grant. What is a restricted application. It talks about “giving up some benefits”. Do I have to be full retirement age when applying and collecting on my husband’s SS while mine continues to grow. Something doesn’t sound right. Hello Earl. Social Security disability benefits automatically change to retirement benefits when disability beneficiaries attain their full retirement age. If a person has reached his or her full retirement age and is receiving Social Security retirement, they will not be eligible for disability benefits. How does that apply to someone who’s been on SS disability for 20 yrs? Thank you for the most confusing thing I have ever read. Unfortunately, and because of security reasons we do not have access to personal records in this blog and cannot answer your question at this time. Please call our toll free number at 1-800-772-1213 for assistance. Representatives are available Monday through Friday, between 7 a.m. and 7 p.m.
Generally, you will have a shorter wait time if you call later during the day or later in the week. Thanks. I want to apply for ticket to work…. Hi Christine. The length of time it takes to begin receiving payments after receiving a favorable decision varies. Approved claims are randomly selected for a quality assurance review of the decision. We care about our customers and are working as fast as we can. For security reasons, we do not have access to information about your account in this venue. In your situation, we encourage you to contact your local office or call our toll free number at 1-800-772-1213 (TTY 1-800-325-0778) and speak to one of our representatives. Representatives are available Monday through Friday between 7 a.m. and 7 p.m. Thanks! I live in an assisted living facility (7,500) monthly, I am 83, is there any way I could get more assistance from social security; I get $1.600 monthly benefits from social security? Hello Roberta. Some individuals may be eligible to receive social services from the state in which they live. These services include Medicaid, free meals, housekeeping help, transportation or help with other problems. You can get information about services in your area from your state or local social services office. Or you can visit the U.S. Department of Health and Human Services web page for more information. I am pleased with Social Security. The only rule I would like to see changed is the one that required me to take a penalty when I sold a rental home that I purchased in the !980’s. The sale increased my annual income for the one year and required me to suffer a penalty for an entire year of Social Security income. I don’t think that is fair. It was the only rental home I owned, so it will not happen again. This was for the year 2017. Thank you for your comment, Wofford. When we figure out how much to deduct from your benefits, we count only the wages you make from your job or your net earnings if you’re self-employed. We include bonuses, commissions, and vacation pay. We don’t count pensions, annuities, investment income, interest, veterans, or other government or military retirement benefits. Visit our “Frequently Asked Questions” web page for more information. Thanks! I was wondering, when I was 11 my mother passed. A older sibling was receiving my SS from my mothers SS for taking care of me. I was completely on my own by the age 15 working three jobs and attending High School. After I gradurated it was suggested that I go to a SS Office to see if I could get help for College. The individual at the Mesa, Az office asked me what had I done with all the money I was getting…very rudely. I asked what money? She proceed to tell me I was getting so much a month. I had no idea. She shooed me away and that was the end of our conversation. Could I’ve had done something legally to get those funds for college? Hello Anna, Generally, we pay Social Security benefits to the parent or the family member who is the primary care provider of the minor child, if the child lives with them. We called them Representative Payees. Your payee receives your payments on your behalf and must use the money to pay for all of your needs. If there is money left over, your payee should save it for you. If you suspect misuse of Social Security benefits, you can speak to one of our agents and you may file a report. Please call 1-800-772-1213 (TTY 1-800-325-0778) Monday through Friday, between 7 a.m. to 7 p.m. to speak to one of our representatives. Or you can contact your local Social Security office. The Social Security Evaluation Process For Disability Recipients of ninety days is much too long. Social Security asked for information back after a few weeks. It should not take too long either!! This is about as clear as mud! Could you try to make any more complicated? And remember that you must report social security on your tax return. Essentially, you are being taxed on the same money, once when you earn it and again when it is paid to you. What genius thought this scam up? In Sept. 2019, I will be 66. I planned to draw social security once I turned 66. If I worked up to when I draw social security, am I obligated to only make a certain since I planning to retire in September? Great question Joe, if you were born January 2, 1943, through January 1, 1955, then your full retirement age for retirement insurance benefits is 66. If you work and are full retirement age or older, the amount you make at work will not affect your Social Security benefits, no matter how much you earn. Please read our publication “How Work Affects Your Benefits” for more information. When does the Cost of Living raise go into effect? If I start receiving Social Security on January 1st 2019 do I get a the Cost of Living raise? The Cost-of-Living Adjustment (COLA) is effective with benefits payable for the month of January. We will not know if there will be a Cost-of-Living Adjustment (COLA) for 2019, and if so the amount of the COLA, until late October when the Department of Labor releases information on inflation for the past year. For complete information on COLA, please check out our page “Cost-of-Living Adjustment (COLA) Information“. Thanks! Thank you for your question, Brenda. Generally, disability payments are established at the highest rate possible. If you‘re currently receiving (reduced) retirement benefits, and need to apply for disability benefits, we can continue your payments until we receive a medical determination on your disability claim. If you are approved for disability benefits, we will have to adjust your payments accordingly. Please keep in mind that the Social Security Act sets out a very strict definition of disability. Disability Benefits are paid to people who are unable to work because of a medical condition that is expected to last one year or more or to result in death. Social Security pays only for total disability. No benefits are payable for partial disability or short-term disability. Also, Social Security disability benefits automatically change to retirement benefits when disability beneficiaries attain their full retirement age. If a person has reached his or her full retirement age and is receiving Social Security retirement, they will not be eligible for disability benefits. We hope this helps to clarify this issue. Hello Dianna. To learn more on how workers’ compensation or public disability benefit payments may reduce Social Security benefits for you and your family, read our publication: “How Workers’ Compensation And Other Disability Payments May Affect Your Benefits“. Thanks! I have been on SS Disability since I was 58 years old. Will my SS amount remain the same when I finally reach my FRA? Thank you for your question, Mike. Social Security disability benefits automatically change to retirement benefits when disability beneficiaries attain their full retirement age. Benefits are not interrupted with this transition and the benefit amount will generally remains the same. Thanks! I am retiring, and my first month I will probably to over my income of $1410. I understand they will take a $1 for every $2.00 over and recalculate my SS check. It that on a monthly bases and once you are making the proper amount, they send you a full SS check? I just don’t know if I have to report that I made over, or it is somehow reported to them. My wife is currently collecting Social Security she is 63 years old. I will reach my FRA in January 2020 when I will be age 66. Can I collect as her spouse (1/2 of what she is collecting now) starting in January 2020 and delay collecting on my own earning when I reach 70 years old? If so if I pass away either before or after I start collecting, will my wife be entitled to the amount I would be collecting? Thank you for your question, Stephen. The Bipartisan Budget Act of 2015 (Public Law 114-74; November 2, 2015), made some changes to Social Security’s laws about claiming retirement and spousal benefits. If you were born before January 2, 1954 and have already reached full retirement age, you can choose to receive only the spouse’s benefit and delay receiving your retirement benefit until a later date. If your birthday is January 2, 1954 or later, the option to take only one benefit at full retirement age no longer exists. If you file for one benefit, you will be effectively filing for all retirement or spousal benefits. See “What do the Recent Social Security Claiming Changes Mean for Me” for more information on the changes of the new law. Generally, survivors benefits are paid at a higher rate. However, if a person begins to receive benefits at age 62 or prior to their full retirement age, their benefits are reduced. The reduction factors are permanently applied to all of the benefits the person may qualify for. To learn more about widow’s benefits, please visit our Benefits Planner for Survivors | If You Are The Survivor. I that 14 months held back because was working and making over the monthly limit. My monthly social security payment was set at $ 1631.00.I had $1631.00 times 14 months or $22834.00 held back. When I quit they sent me $8500.00.Than 5 months later they said they over paid me by $2700.00 and I am paying it backs.SO I got only $5800.00 of the $ 22834.00 heldback.Where is the $17034.00 recalibration. I currently work for the state of ohio and receive SSA, what is the form that I will need to take to my HR to have them complete so that I won’t be overpaid in Social Security payments. and that I will receive the correct amount when I retire Oct 31st of this year. Hello Carrie. A pension based on work that is not covered by Social Security (for example, Federal civil service and some State or local government agencies) may affect the amount of your Social Security benefit. Your benefits can be reduced based on one of two provisions: The Windfall Elimination Provision (WEP) and The Government Pension Offset (GPO). The (WEP/GPO) offset will apply starting with the date the pension and SSA benefit becomes concurrent. In most cases, individuals affected by these provisions are required to complete Form SSA-150 and provided it to their local Social Security office. You can also provide a copy of your “award notice” showing the beginning date and amount of the (non-SSA) pension. I will receive around 14,000 dollars per year from a pension, does that count towards my earnings limit? Thank you for the question, Vern. Pension payments, annuities, and the interest or dividends from your savings and investments are not earnings for Social Security purposes. Only earned income, your wages or net income from self-employment, is covered by Social Security. A non-covered pension, a pension based on work that is not covered by Social Security (for example, Federal civil service and some State or local government agencies such as police officers and some teachers), may cause the amount of your Social Security benefit to be reduced. Your benefit can be reduced based on one of two provisions: The Government Pension Offset and the Windfall Elimination Provision. See our Information for Government Employees web page for details. Does the dollar limit on income earned apply only after the receipt of SS benefits begins, or does it apply to calendar year, when the recipient is below the age of full retirement (64) the entire year? Hello June. If your earnings will be over the limit for the year but you will be retired for part of the year, we have a special rule that applies to earnings for one year. The special rule lets us pay a full Social Security check for any whole month we consider you retired, regardless of your yearly earnings. For complete information on this topic, visit our web page “Getting Benefits While Working“. Thanks! My queastion is about the one time special rule regarding the monthly earnings limit when retired before the end of the year. Are “earnings” counted when worked or when paid? An example: There are 5 weekly pay days in November but the first week of November is for hours worked in October? Hi Joe: For earnings test purposes, we count wages as earnings when they are earned, regardless of when they are paid. See the Special Earnings Limit Rule Web Page for more. Just to confirm my understanding of the monthly earnings rule, the extra pay I would get in November from the last week worked in October will exceed the $1420 monthly limit. However, SS only counts the wage hours worked in November which will be under $1420 for the month. Hello Samuel. Unfortunately, and because of security reasons we do not have access to personal records in this blog and cannot answer your question at this time. One of our representatives should be able to provide you with an explanation. Please call our toll free number at 1-800-772-1213 for assistance. Representatives are available Monday through Friday, between 7 a.m. and 7 p.m. Generally, you will have a shorter wait time if you call later during the day or later in the week. Thanks! hi I am 62 receiving SSI benefits starting june 2018 .I have been doing part time employment here and there. I would like to know when does the calendar year kick in to go up to the allotted amount. Is it the first of the year 1/2018 to 12/2018 or June 2018 to June 2019? Hi Patricia, thank you for your question. The annual earnings limits operate on calendar year. However, keep in mind that if you’re retiring in the middle of the year and have already earned more than the yearly limit, there is a special rule that applies to earnings for one year. Under this rule, you can get a Social Security benefit for any whole month that you are “retired” and earning $1,420 or less ($1,470 in 2019). You can use our earnings test calculator to see how your earnings could affect your benefit payments and our Getting Benefits While Working web page. My wife and I will both work to FRA. Can we both draw our full SS or is there a limit on what we can get as a family? Hello Charlie. Yes, each one of you will be allowed to receive your full retirement benefit at the time you attain your full retirement age or FRA. Visit our Retirement Age Calculator to find your FRA. Thanks! Hello, i was hoping to get some infomation on help with my hospital bill when i go in for a test.I do not get much from S.S. monthly & when the hospital charges me over &100.00 for a stress test i have to put it on my credit card.Can i get help with these hospital bills i get every 3 or 4 months from S.S. or ?? Hi Joan, please visit the Medicare website to learn about programs available to assist people with low income to pay for Medicare expenses. Also, many states have programs to help with Medicare payments. You can find out about them by calling your State Medical Assistance Office. To get the local phone number, call the Centers for Medicare & Medicaid Services at 1-800-633-4227 (TTY, 1-877-486-2048). Thanks! I am 64 years old. I applied for SSA benefits in May 2018. My monthly benefit is $1990.00 per monthly. I had planed to retire completely on 4/3/2018, however, my boss suggested that I consider partime work as an option to balance my live and work life. I decided to give it a shot.. So far it’s been okay until I recently received the attached ssa notice that says I owe then 14k and future benefits are zero. I fully understand that once you go over the 17,040 or 1420 monthly limit that you are required to payback ! dollar for each dollar earned over $17040. Here my contention. I earned wages of $24,775 from 1/1/18 thru 4/30/18 before receiving any benefits from. The total estimated wages for 2018 are $57,130. I arrived at wages earned while received benefits from May thru Dec to be $32, 355 ( 257130 less $24775 = 32,355). I then applied the $17040 limit against wages of $32,355 to arrive at the wages in excess for $17,040. The SSA calculation is saying that I owe SSA $13.937 for May thru Nov benefits payment. I have called the SSA and also visited their office to get a better understanding of how the caculations are determine. Unfortunately, most staff members are not that knowledgeable in this area. Could you please explain this to me? Does did SSA have an earning test calculator for people that are not under the age of FRA? Hi Luis, thank you for your question. The earnings test calculator is for anyone that is receiving retirement or survivors benefits. However, beginning with the month you reach full retirement age, your earnings no longer reduce your benefits, no matter how much you earn. Thank you that information. However, the test did not answer why my benefit payment are being withheld because I continued to work partime.I have called the SSA and gone to an office. No one seems to be able to clearly understand what’s going on in my case. I need your help. Here are the circumstances. 1. My employment termination date was 4/29/18. 2. SSA benefits started in May 2018. .
3. Started to work partime 23 hours a week in the month of May. 4. Wages earned from May 1 thru Dec 31, 2018 are approx. 33,000.00. I don’t know why the office called Western Program Service Center in Richmond, CA. believes my earnings are slightly below 48K. 5. Wages in excess of 17,040.00 are 15,060.00 (33,000 less 17,040 = 15,060). 6. I owe the SSA one dollar for every two dollars earned over 17,040.00, which equals to 7,980.00. The Western Program Service Center in Richmond, CA. is saying that I owe 13,937.00. Could you please explain why I’m being denied benefits? What’s the situation is in my case? Thank you for your assistance and understanding in this matter. It is my understanding that, as I am 66 (on Sept 9,2018 -born 1952) I can collect either all of my social security benefits or 1/2 of my Ex-Spouse’s who is 69 (born Jan. 21st,1949). My question has no answer anywhere that I can see..1.) “How do I find out WHAT the AMOUNT of my Ex-Spouses benefits are so I can determine which is the higher amount, mine or his?” 2.) Also is it true that I can collect 1/2 of my Ex-Spouses S.S. Benefit until I am 70 & anytime prior70 switch to my (full) benefits including an 8% per year increase, from my age of 66? Thank you for your reply in advance. Hello D.C., thank you for your question. You may be able to get spouse’s benefits but, under existing law, if you are eligible for benefits both as a retired worker and as a spouse, you must apply for both benefits and you’ll receive the higher of the two benefits. This requirement is called “deemed filing” because when you apply for one benefit you are “deemed” to have also applied for the other. As to your second question, your benefit percentage is based on your full retirement age. If you delay filing, your retirement benefits will increase a fraction of a percent for each month after you reach full retirement age that you do not claim them until you reach age 70 due to delayed retirement credits. There is no incentive to delay claiming after age 70. Please visit our Social Security Retirement Planner for more information. Why did I not receive the 2.8% raise like others did starting January 2019. If I stopped working at age 60, does the FRA amount displayed on my statement at age 60 gets reduced each year because I do not have earned income towards my FRA? How do I calculate how much I can earn since I am drawing benefits? There is a problem with my sign in account. Hello, Randy. Thanks for your question. If you are receiving retirement benefits, check out our publication, How Work Affects Your Benefits. If you are referring to Social Security disability benefits, special rules allow you to work temporarily without losing your monthly Social Security disability benefits. After your nine-month trial work period, we still provide a safety net that allows you to work another three years risk free. During those three years, you can work and still receive benefits for any month in which your earnings do not exceed a certain limit. For 2019, those limits are: $2,040 for blind individuals; or $1,220 a month if you are not blind. For more information on working while receiving Social Security disability benefits, check out our Frequently Asked Questions. Whether you are receiving Social Security or SSI, you may be able to work. Learn more information by reading our publication, Working while Disabled- How We Can Help. We hope this helps. Is there a age that I can go back to work and it not matter how much money I make? Hi, Jo Annn. When you reach full retirement age, your earnings no longer reduce your benefits, no matter how much you earn. For more information, check out our publication, How Work Affects Your Benefits. We hope this helps. Yes . I was born in 1953 and am planning to retire. If I decide to work do I have a limit on earnings at full retirement age. Would I be taxed on my full retirement benefit or taxed only on my additional earnings? Hi, Victoria. Thanks for your question. You can work while you receive Social Security retirement benefits. At 66, you’ve reached your full retirement age. If you work and are full retirement age or older, the amount you make at work will not affect your Social Security benefits, no matter how much you earn. Some people have to pay federal income taxes on their Social Security benefits. This usually happens only if you have other substantial income (such as wages, self-employment, interest, dividends and other taxable income that must be reported on your tax return) in addition to your benefits. See our Benefits Planner: Income Taxes and Your Social Security Benefits for more information. Thanks, again. I have worked part time just a few days a month. I was told that I can earn up to a certain amount and not have it effect my ssa, what is the amount? how do I report it, I cant find a way. do you wait and get employers statements on me ? do I not worry about reporting anything until I have earned so much? Hi, Chester. Thanks for your question. If you are receiving retirement benefits, check out how work affects Social Security payments by viewing our publication, How Work Affects Your Benefits. If you are referring to Social Security disability benefits, special rules allow you to work temporarily without losing your monthly Social Security disability benefits. After your nine-month trial work period, we still provide a safety net that allows you to work another three years risk free. During those three years, you can work and still receive benefits for any month in which your earnings do not exceed a certain limit. For 2019, those limits are: $2,040 for blind individuals; or $1,220 a month if you are not blind. For more information on working while receiving Social Security disability benefits, learn more information by reading our publication, “Working while Disabled- How We Can Help.” We hope this helps. I would like to retire at age 62 based on my earnings record. I am also eligible for spousal benefit but not until I am 65 (when my spouse reaches his FRA). My retirement age is 66 and 6 months. Will the spousal benefit reduction be based on my age at the time of spousal benefit eligibility (65) or based on my early retirement age (62)? Hi Raphael, thank you for your question. If you begin receiving spouses benefit between age 62 and your full retirement age, the amount will be permanently reduced by a percentage based on the number of months up to your full retirement age. My wife was deemed ineligible for SS benefits. But she has worked on and off through the years, what are the work requirements for her own SS benefits? Hi, Debra. For your security, we do not have access to private information in this venue. We ask that members in our Blog community work with our offices with specific questions. You can call us at 1-800-772-1213, Monday through Friday, between 7:00 a.m. and 7:00 p.m., for assistance. Generally, you will have a shorter wait if you call later in the day. You can also contact your local Social Security office. Just a reminder – please be cautious about posting personal information on social media. We hope this helps.